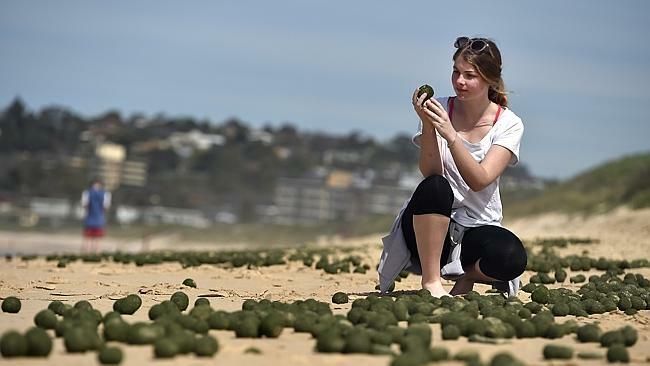 Australia - Hundreds of green ‘alien eggs’ have washed up on Dee Why Beach and may be living algae. 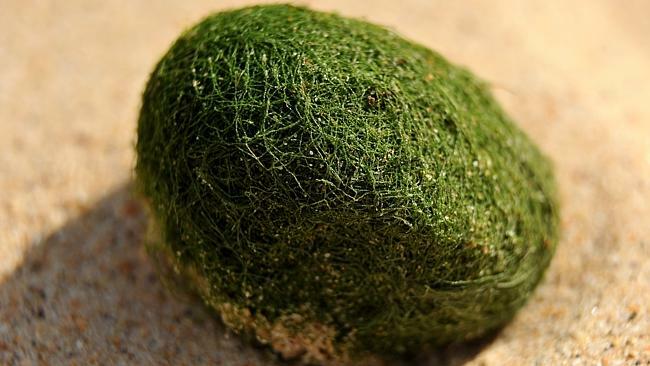 Hundreds of unidentified floating objects have washed up on Dee Why Beach, causing locals to ask whether the green, furry balls are alien eggs, Japanese moss balls or some kind of tennis nightmare. Dee Why Surf Life Saving Club patrol member Rae-Maree Hutton said she came across the unusual site on her morning walk. “I didn’t want to touch one because you never know what can sting you on the beach, but I did poke it with my toes and it’s squishy, like a sponge,” Ms Hutton. “They look like alien eggs or something.” Narraweena resident Jenny Zhang said she walked the beach every day and had never seen anything like it. “About three days ago, there were a few egg-shaped balls but then today, they were much bigger and everywhere on the beach,” Ms Zhang said. “I tried to search on the internet but there was no information. The green visitors follow hot on the heels of small bioluminescent marine animals that turned Manly and Newport beaches blue at the end of August. For Allambie Heights resident Roxie Rogan, the balls prompted a bit of beach sport. “People were kicking them like soccer balls,” Ms Rogan said. University of NSW School of Biological, Earth and Environmental Sciences associate professor Alistair Poore said the balls were most likely living green algae. “They’re pretty interesting,” Mr Poore said. “I think you’d find that they’re very likely to be the green algae. What do you reckon these are? 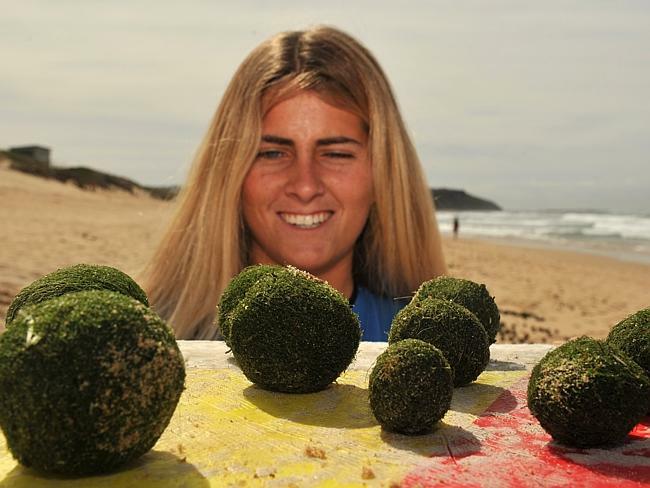 The Royal Botanic Gardens and Domain Trust’s Alan Millar said the algae balls made their way to the beach via the right conditions. “(It’s) clearly another response to spring sunshine, and just the right wave conditions to tumble them,” Mr Millar said. Cool; theyre kind of cute I want one!!! The title of this thread is the best part! How the first plants made their way to the surface of earth from the oceans maybe? The only thing I want to know is if they are edible?